Triangle Tire is a Chinese tire company, founded in 1976, and was only introduced to the U.S. market in 2016. However, they have quickly ramped up in the U.S., even partnering with Akron, Ohio and the University of Akron to open a research center. Their tires however, have confusing model numbers that are easy to mix up. With that said, early reviews are promising. Read on below. 4.4 out of 5 based on 29 user ratings as of 10/14/17. 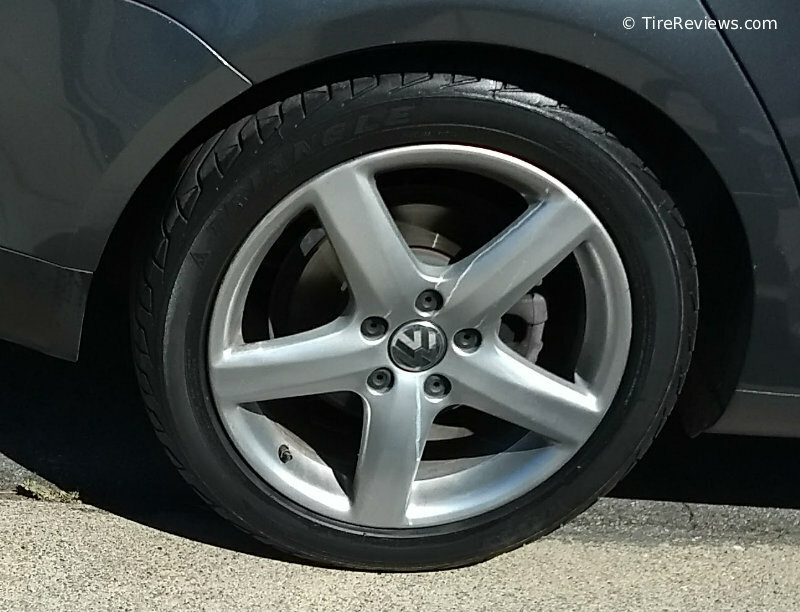 Pictured below is a Triangle tire mounted on a Volkswagen Passat.